Not ‘goodbye’ as a blogger, but goodbye to Thailand … the legendary “Land of Smiles”. Tomorrow I shall be boarding my flight at Bangkok airport, and after a brief transit in KL, I shall be leaving Asia – almost certainly for the last time. The decision was made several months back, and I am sorry that I haven’t recently kept my loyal readers up to date of my movements in this blog. I do plan to keep this blog going when I am back in the UK, and in one of my first posts, I will deal with the rationale that led to my decision to leave. It is a sad indictment on the land I am leaving that I do not feel safe in writing such a post here, and will await my return to a country where the right of free speech is still honoured and respected as the cornerstone of a democracy. In the meantime, I will just reprint two of the self –censored posts I made this week on the Thai Visa expat forum. Some of the more recent members may not know me, but I used to be very active on Thai Visa since I joined back in January 2006. This time around I have been living in Thailand for 15 years – 2 in Bangkok and the past 13 in Pattaya. I also have a previous incarnation dating back to the mid 70’s when I lived and worked in Bangkok for around 8 years. During my previous 8 years of living in Bangkok, I experienced the highs and lows of existing on a very meagre salary, having three Thai wives (not at the same tine) and I learned what it was like to have to survive in a land so far from home with no money to buy my next meal. My return to the UK in 1983 presaged a reversal in my fortunes and by the time I returned here in 2002, I was an early retired millionaire, with the world at my feet. 15 years, two more wives, and the great Australian pyramid style swindle known as LM has left me, at the age of 71, once again close to the bread line and unable to continue my life of dissipation in this somewhat tainted tropical paradise. So on Friday this week, I will be heading off into the sunset to start a new life back in Blighty. My wife (number 6) and daughter will follow in about 6 months, once all the visa requirements have been satisfied. In all, it will cost me well over £6,000 in fees to get them into the UK and that’s just the first step. And that doesn’t include the cost of English lessons and exam which are now part of the visa requirements. So at 71, I’m embarking on a new adventure back in the heart of England, and in many ways, I’m feeling quite excited about it all, as well as experiencing a number of obvious apprehensions. There was a time, in the mid-noughties when I really thought that the LOS was starting to get its act together and was shedding off its skin as a “third World” country and was fast becoming a first world country. But that period has well and truly gone and there is little doubt that the country is slowly but surely slipping into some kind of limbo-abyss, while the neighbouring countries – Vietnam, Malaysia, Burma and even poor little Cambodia – are going in the opposite direction. Thailand is no longer a great place for foreigners to live. We are often despised, cheated, robbed, raped and even killed with few or no repercussions. These days, we farangs are all “fair game”, and are pretty much defenceless in the face of a totally corrupt system that’s skewed against us. My, my – what a change from the early 1970s when so much love and respect was given to any foreigner – we could do no wrong. Now, we can do no right. Believe me, this isn’t sour grapes. If I had the money I had 15 years ago, I would still be going home – but I would ideally retain a nice little home here for holidaying during the depths of English winter. As it is, my circumstances dictate that this will be a one-way ticket, and unless I win the lottery, or my novels suddenly start selling by the thousands, then this coming Friday will signal my permanent departure from Asia. So many thanks to Thai Visa. For all its faults – and there have been many – I have enjoyed being part of the TV forum community. Through Thai Visa, I have made some wonderful, lifelong friendships, I have enjoyed the cut and thrust of debate, and most of all, I have received some wonderful and invaluable help and advice through the years which have all helped to make life more tolerable. I hope I have – in my own small way – repaid this by providing advice, help and information of my own to those seeking it, and I do hope the ‘taking’ and ‘giving’ has more or less evened itself out. Farewell, my friends, may I wish you all good luck as “strangers in a strange land”, and I sincerely hope that my pessimism on the future of Thailand proves to be misplaced. There is nothing I would like better, as I have sown a lot of seeds here, and I still have a number of friends and extended family in this beautiful, bountiful country that sadly seems to have lost its way. Many, many thanks for all the kind wishes. I really do appreciate them and it is good to know that you are all out there rooting for me. I also thank those who have been less than complimentary about my situation – I wouldn’t have expected anything less….. It never ceases to amaze me how people feel free to jump to conclusions and assumptions without knowing any of the details or background. People have been condemned in these forums as thieves, rapists, and murderers without any chance to defend themselves – but was it ever thus? I guess these days it’s what they call it fake news. I can’t possibly respond to all the comments made here, but I will say a few things which may help to clarify my decision to leave. Firstly, on the subject of my six wives. The first was African and is the subject of my major novel entitled “Azzy”. 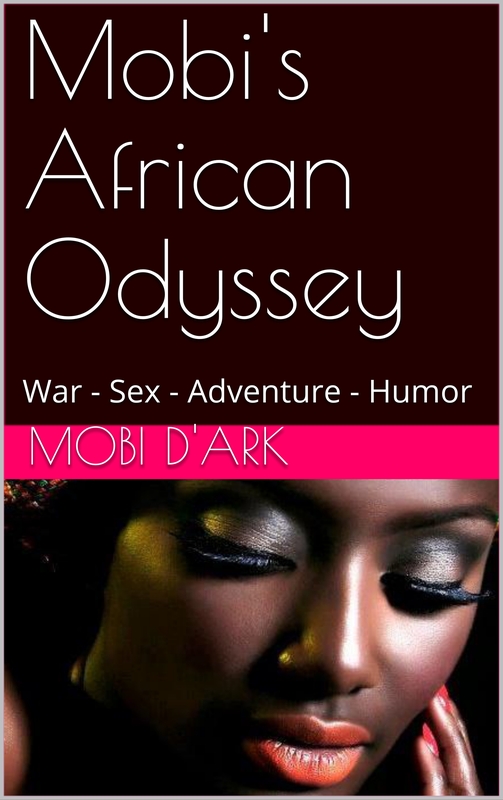 It is currently withdrawn from sale on Amazon but will be relaunched at a later date under the new title “Mobi’s African Odyssey.” This relates to the years I spent in West Africa during the late sixties/early seventies when I became caught up in a brutal civil war. The rest of my wives are from Thailand. The first of these barely lasted a week as she was supposedly kidnapped and after paying a ransom for her return, I realised I had been duped. The next one was a gorgeously young lady from Patpong and I was hopelessly smitten – probably the love of my life. But she strayed from the marital bed many times, on one occasion even as far as Amsterdam – partly because it was in her nature, and partly because I was unable to keep her in the manner she was accustomed. So I moved on, but for many years we remained in touch and became good friends. The next Thai wife stayed with me for 27 years, most of it back in the UK (where she still lives), and we raised two wonderful daughters who are both very successful in their lives and are a source of constant comfort, love and support. I divorced her soon after I took early retirement, as by that time both my daughters had left home, and I had only tolerated a very difficult and abusive marriage for the sake of my girls. Newly retired, and the world at my feet, I returned to Thailand to live a life of debauchery. In this, I succeeded, as well as getting married two more times. My penultimate wife wasn’t all bad and we are still in touch – she was just typically Thai – had an over-fondness for the booze, was totally amoral, and loved to have a good time with her friends. We fought constantly and after 5 years I called it a day. Wife number six is the one I should have met when I was 23 – the age when I married wife number1. We have been together for 7 years, married for three, and she is the most wonderful, caring, hardworking, generous, considerate woman you could ever hope to meet. All my family back home have met her and they love her to bits. Her family are also great, loving and caring. She is the woman I always dreamed of marrying but it took me a lifetime to find her. Then I built my Mobi-Mansion in Pattaya, and I lived there with wife number 5 for 5 years. After the divorce, the house was eventually sold, and I received half the sales proceeds. I took a massive hit in the stock market crash in 2008, and for sure, the women also ate up a substantial sum of my hard earned money. By the time I met wife No. 6, I was no longer ridiculously wealthy, but I still had more than enough to see me and my family through. Then LM came along and swallowed up 95% of my remaining savings in 2013, and it has been pretty tough going ever since. I tried a number of ways to make a living, such as freelance writing and even running a bar for six months, but I guess I’m a bit too long in the tooth to make a real go of such ventures. While not at death’s door, my health is not what I would like it to be, the result of a dissolute lifestyle and the ageing process. I had a major heart operation 5 years ago to replace a heart valve, and my other ailments include hypertension, insulin-dependent diabetes, glaucoma and chronic IBS. I haven’t touched a drop of alcohol in nearly 7 years, and this as much as anything has helped me to stay reasonably fit. But the truth is I’m only one major operation away from total impoverishment, and the only sensible course of action is to return to the UK, where I can receive free health care, get an enhanced pension (frozen for six years) and all manner of other benefits that people of my age are entitled to. I have seen too many expats out here in their 70s and 80s who are so poor that they cannot afford to go to a hospital when they get sick. They refuse medical attention and have no money to return home – and even if they did there is nobody there to take care of them. Many just sit at home waiting to die. It is very sad to see. I am NOT to going to be one of them. I will try to get some part-time work in the UK, and when my wife joins me in October she will be able to work straight away as there is plenty of work for those who want it. It will also be great for our daughter, for obvious reasons. I have no real qualms about going home. I did it in 1983 when everyone told me I wouldn’t last 6 months. Since I have been back in Thailand, I have made regular trips back to the UK to visit with my two daughters and brother and I know what I am getting into. I am quite sure I will be absolutely fine. Having a network of loving family around you is critical. So there it is – just a few snippets of what Mobi has been about during some of his long and event-filled life. There is so much more… but why not take a look at my writing? A good place to start would be “A Lust for Life”, which is largely autobiographical. This book is still available on Amazon. Next blog will be from the UK – hopefully before the end of May. Until then, it’s goodbye from an excited but anxious Mobi. Wow well good for you Mobi! back in 2007 before moving to Thailand so we would have that option later. Thanks Mike, your comments are much appreciated. I am now back in the UK – 10 days and counting. So far so good. I will try to get a blog out in the next week or so. Take care, Mobi. Hi Jay, thanks for your kind comments and good wishes. Hopefully, there will be another blog soon. All the best to you and your family in the UK, it has been a pleasure reading younblog’s over the few year’s with your up’s and down’s. Good Luck in the UK. Please keep everyone up to date. CHok Dee.Mobi. Thanks, Ray it is appreciated. Good luck with your move back to England. I made the move back 3 years ago. Initially it was a little confusing but interesting catching up with a culture new to me. Now it seems strange to carry cash when I am in Thailand. If you need someone to talk with or maybe ask advice of please feel free. You say your wife and daughter are relocating as well. Can I ask what visa you will be applying for? The last time I looked at a settlement visa there was a minimum requirement of an income of Stg 18,900which my combined pensions do not cover. On the bright side the weather is nice in May and getting warmer every week. Warmer being subjective of course. Again good luck and take care. Thanks, Steve, sorry it took so long to approve, I though I had already done so. Yes, my pension doesn’t cover the visas either. I have had some very generous people help me with my savings to make up the amounts required. I wish you and your family all the best with your New life in UK! Your kind comments through the years have been a source of comfort. Good luck to you and your family.